How to obtain an apostille for a general document? 1. The document must be notarized by a notary public. 2. 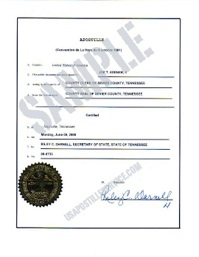 The document bearing the notary’s signature must then be verified by the county clerk. 3. The document must then be submitted to the Secretary of State’s office. How to obtain an apostille for a divorce decree from the clerk of the court? 1. A court document bearing the signature of the clerk of the Chancery, Circuit or other Court having divorce jurisdiction must be notarized. 2. The notary’s signature must then be verified by the county clerk. How to obtain an apostille for a birth certificate? 1. A birth certificate that has been signed by the state registrar is sufficient to obtain an apostille. 2. If the birth certificate has only the signature of the county registrar, you will need to obtain a new certificate from the state registrar’s office or your local health department. 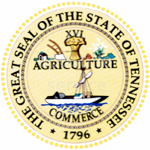 Always be sure that the certificate has the state registrar’s signature. A former state registrar’s signature will also qualify.